Happy Halloween everyone! I’ve had a blast celebrating it this year. First I attended a friend’s spooky Halloween party where I was dressed up as Inside Out’s Joy. I had never had so much fun creating a look. Then last night I went to a 80s High School Reunion Murder Mystery Party. Is it bad that my outfit came mostly from my closet? I didn’t need to buy anything! I went for the big 80s hair and neon pink makeup. I felt a little sad when I washed it all off later that night. Long live the beautifully terrible 80s. For the past few years on Halloween I’ve made mulled apple cider. And every year, I search the Internet for a recipe. I have no idea why I don’t write it down. It’s always the same. I stand looking into the Crockpot wondering what I put in there with the apple juice. I usually have cinnamon and oranges standing by, waiting patiently to be plunked into the juice. This year, I decided to spice it up a bit more (pun intended.) 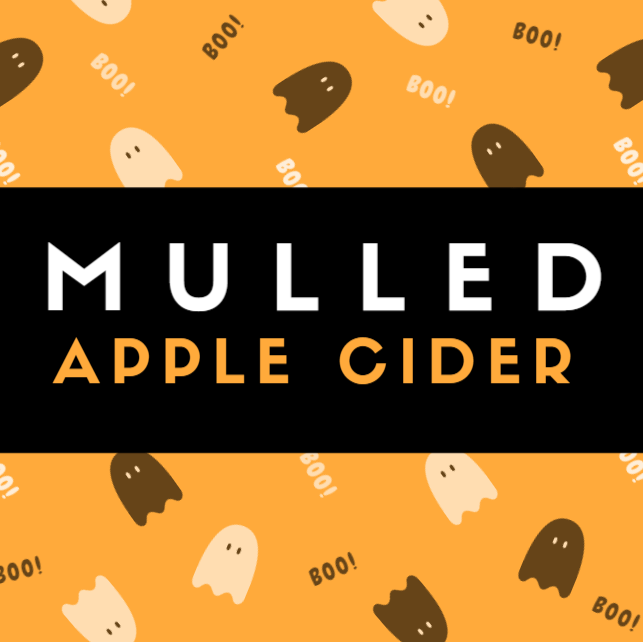 I decided to search, once again, through the Internet for a mulled cider recipe including other spices, and here’s what I’ve learned: they’re all different. There are HUNDREDS are ways to make mulled apple cider. And I think it’s wonderful, even if it means I can’t find just the right basic recipe. So I’m adding my own recipe to the mix of other wonderful cider recipes people are probably searching. I’m calling my “basic” because I decided to buy the spices listed on the back of a complete mulling spice package (I already had half of the spices at home.) If you’re one of the many searching for a basic recipe that mixes fresh and ground spices, well, I’m your girl! Pour apple juice or cider into Crockpot and add spices. Stir and cover with lid. Serve when hot. Keep leftover juice or cider in it’s original container. Will keep in the fridge overnight and probably for at least a day after.